(Nashville, TN)- Parmalee will perform for the world’s largest online/mobile-only music festival as part of the 24 hours of music across MTV/VH1/CMT. The “Live Music Day Festival” will take place exclusively during the O Music Awards beginning tonight, June 19, at 7pm ET/4pm PT. Other featured performers on the bill include Gavin DeGraw, Ashley Monroe, Kate Nash, Matt Nathanson, Blackberry Smoke and many more. Parmalee will perform live at 8:30pm-8:50pm CT/9:30pm-9:50pm ET. Fans may tune in at: http://www.omusicawards.com/. 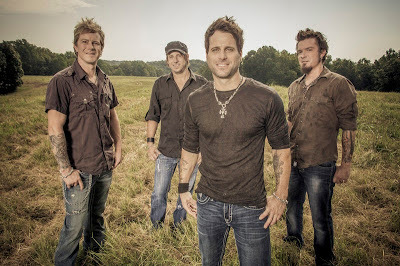 The Country foursome and family band will perform its current buzzed-about Top 40 single, “Carolina.” Select clips from the band’s performance will also be posted to Parmalee’s CMT artist page at: http://www.cmt.com/artists/parmalee/. Follow along and engage with the performers and audience via Twitter (@OMusicAwards), Instagram (@OMUSICAWARDS) and Facebook (www.Facebook.com/MTVOMA). The official hash tag for both Twitter and Instagram is #OMusicAwards. The O Music Awards celebrates the best in digital music and features an eclectic mix of Indie, Rock, Folk, Country, Hip Hop, Pop and R&B artists.